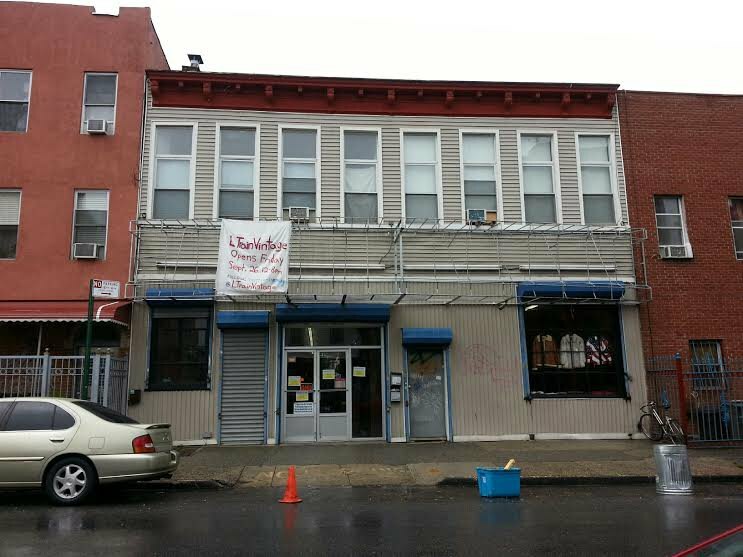 Vintage Palace Vice Versa Shutters its Gates on White Street: Where Are They Now? Seen last Wednesday. Photo by Phil Buehler. 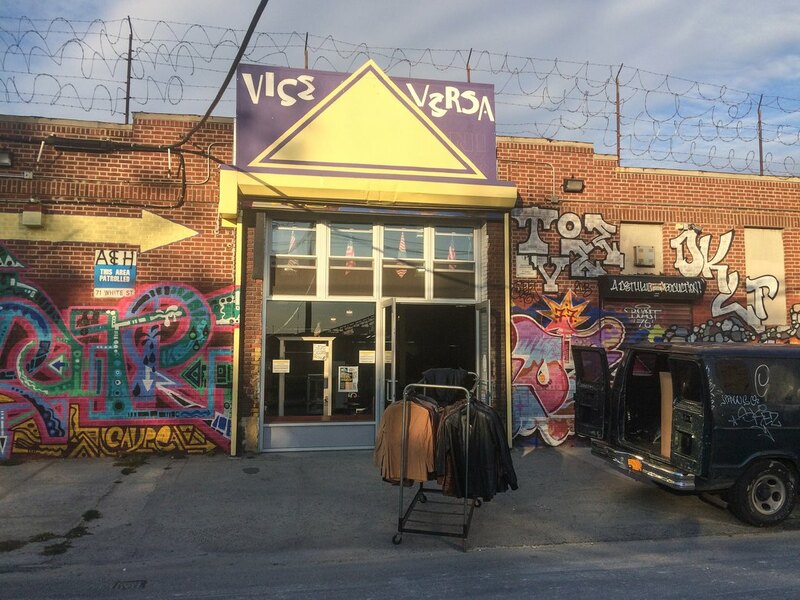 Last Wednesday, Vice Versa, most definitely the biggest and arguably the most popular vintage clothing store in the Bushwick area, was spotted carrying out bags of clothes from their store on White Street and loading them into trucks. Onlookers assumed they could be just transporting the clothes to another one of their locations, seeing how they're one of the many stores associated with L Train Vintage. But ever since that day, the gates of Vice Versa have been shuttered. At first it appeared to many to be closed. The store just opened a year ago in November. It became known in the neighborhood as having a vast selection of everything you need, from sport jackets to cowboy boots. We tried to call for comment, but their phone was disconnected. As it turns out, however, the store isn't closed! It's just moved to 1377 Dekalb Ave, between Central and Wilson Aves and replaced another thrift store at this location. The folks over at Urban Jungle (another Bushwick location of L Train Vintage located at Knickerbocker Ave) told us they moved because the new space is bigger... 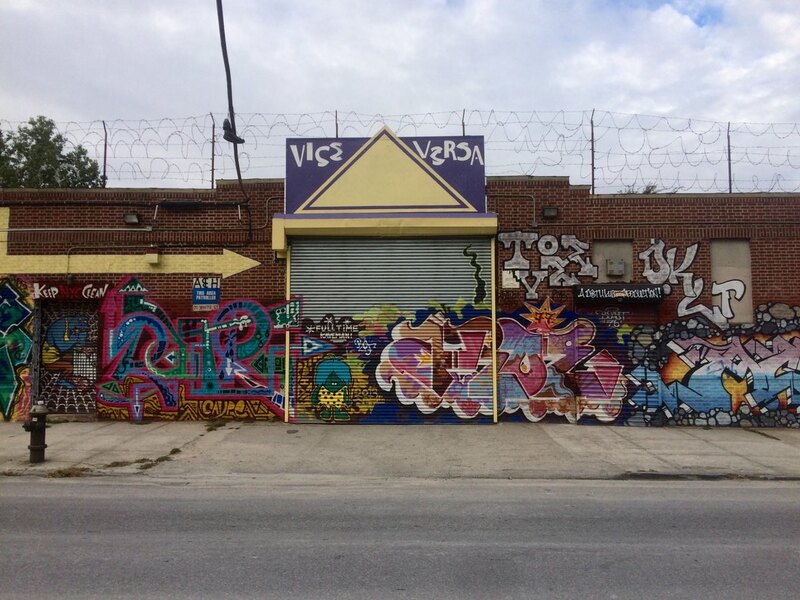 Which is hard to imagine seeing how Vice Versa was like the palace of thrift stores in Bushwick. So if you stroll by Vice Versa hoping to get a new shirt for your hot date this weekend, and you're afraid it's gone forever like Wreck Room (R.I.P. ), fret not. It's just evolved. Visit their new location and tell us what you think!